Robert M. Kunstadt and Ilaria Maggioni present an entertaining and enlightening discussion of current trade dress law in the context of the design of a guitar, in "Tell Tchaikovsky the News: Trade Dress Rights in Musical Instruments," 94 Trademark Reporter 1271 (November-December 2004). After a brief review of the historical development of acoustic and electric guitars and their basic shapes, the authors turn to the protection of guitar features as trademarks. With the emergence of dominant electric guitar brands in the 1950s, manufacturers looked to the guitar headstock as a way to distinguish the brands. In the seminal TTAB decision in Yamaha Int'l Corp. v. Hashino Gakki Co., 231 USPQ 926 (TTAB 1986), affirmed, 840 F.2d 1572 (Fed. Cir. 1988), the Board found registrable two Hoshino headstock designs for Ibanez brand guitars, and it dismissed Yamaha's oppositions. Although a guitar headstock is de facto functional (it obviously performs the function of holding one end of each guitar string in position at the appropriate tension), the particular shape of an electric guitar's headstock has no effect on the guitar's performance, and thus is not de jure functional. 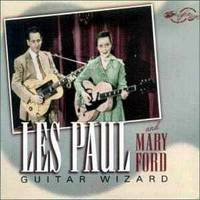 Other guitar features, however, may and do affect the performance of the guitar -- a fact that, to the authors' dismay, was substantially ignored in the recent federal district court decision in Gibson Guitar Corp. v. Paul Reed Smith Guitars, LP, 70 UPSQ2d 1911 (M.D. Tenn. 2004). Defendant PRS copied the shape of Gibson's "Les Paul" guitar, which featured a single "cutaway" at the intersection of the guitar's neck and body, rather than the double cutaway commonly found. "Having only a single cutaway permits a more rigid connection of the neck to the body. Since the neck and body act as a resonant unit, weakening the connection with a second cutaway reduces the punch of the guitar. 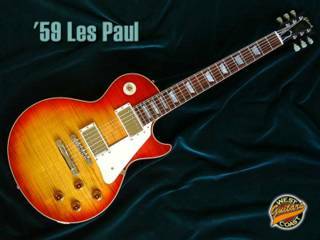 The LES PAUL model is well-known for, and desired because of, its ability to punch through the sound of a loud rock band due to its full sound. . . ."
"had the court properly appreciated how to play a LES PAUL guitar, the court would not have granted summary judgment for Gibson. At a minimum, the functionality of the alleged Gibson trade dress features presents fact issues for trial." More generally, the authors urge that, before a design feature of a musical instrument is granted trademark status, a proper investigation and analysis should be conducted as to the functionality of the feature in terms of its impact on the "sound and playability" of the instrument.